Doors Open at 7pm for info & booking. Ticket price is 20 euro per person and includes the first drink and your table. 50 € total with a bottle of wine instead of the first two drinks! (also Vegetarian option) dinner is 8 euros each . We have also special prices for groups! SPECIAL "DINNER FOR TWO" OFFER! 30Euro per person, including dinner and bottle of wine (INSTEAD of the first drink) (AND YES TICKETS INCLUDED!). NO DRESS CODE REQUIRED. NO AGE RESTRICTIONS. LOCATION: Between S.Margherita square and S.Barnaba square. Water bus station: Cà Rezzonico. The VJC's space is available for art exhibitions, also during the Biennale of Art period. We also organize concerts, events, music for weddings and parties. The VJC can be rent for private parties and exclusive dinners. 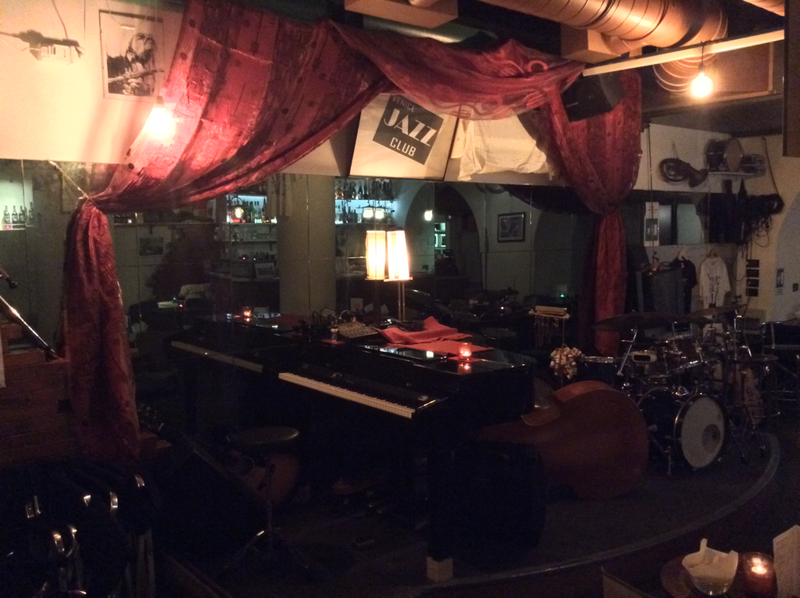 Venice Jazz Club, Dorsoduro 3102, Ponte dei Pugni, 30123 Venezia, Italy. Tel. (+39) 0415232056 (only from 7pm). READ OUR "BAD" TRIPADVISOR REVIEWS!